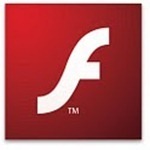 In November, Adobe announced that it would be discontinuing its development of Flash for Android, and it looks like that day has finally arrived. In a post on their blog, the company has explained that devices which have been certified to run Flash will still continue to do so, and updates will be made available just for those devices. Any devices that have not been certified to run Flash will be unable to install or update it from the Play Store from August 15th. According to the post, any device that has been certified to run Flash by Adobe will have come with the plug-in pre-installed, so if you had to install Flash manually through the Play Store, it means that you are running it on an uncertified device. Adobe has posted a list of all certified devices on their website. If you have a certified device that may be upgraded to Jelly Bean in the future, Adobe recommends that you delete Flash when the update occurs, as no modifications have been made to ensure that it runs properly on the new operating system. However, there's no way that this can be enforced by the company and if Flash continues to work then there is no reason why you can't continue to use it. Although this isn't great news for users who use Flash regularly, most video-on-demand services now offer mobile apps to replace websites which may use Flash, and there are very few things that you won't be access whilst online. If you want to install Flash from the Play Store after August 15th, you will still be able to sideload the installation file on to your device, as all previous versions of the .apk are stored on Adobe's website.